For an unlimited budget, this is absolutely impressive. 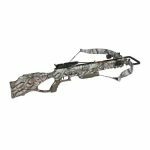 It’s one user-friendly and versatile compound bow by PSE and Drury Outdoors. It’s so flexible that it adjusts like a single cam while giving you the high performance you expect from a hybrid cam bow. That is possible because of its Hybrid Cam. 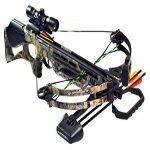 This medium-length compound bow is comfortable to shoot. It is a 32-3/8” axle-to-axle bow built from a forged riser. 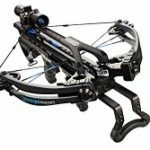 Launching arrows at a blistering speed of 340 fps with an amazing 80% let-off, this ready to shoot compound bow is worth every penny. The signature pre-stressed split limbs of PSE also perform very well in this one. Since it can be used as a great hunting bow for medium to very large game, humanely hunting down a turkey, deer, antelope, elk, bear, moose, and buffalo won’t be a problem. Of course, the kill would be humane because it launches arrows at a maximum speed of 338 fps, making the shot quick. This bow is so easy to shoot that while you’re holding on target, the 80% let off becomes easy to get used to. Some shooters prefer a higher holding weight, but for those holding back on an animal from a tree stand, the 80% let off will surely be appreciated. The riser on this PSE product is a forged aluminum one. The riser shelf has initial tuning marks engraved for arrow alignment when setting the bow up for the first time. Even though the cable slide system isn’t really high tech, it has been featured on all none Pro Series models and has been tested. Its Vibracheck BackStop 3 String Stop helps eliminate string noise and hand shock. Like most rigs, the rear facing string stop system is directly behind the front mounting stabilizer mounting hole, which will further eliminate any vibration caused after the arrow is released. The grip on this bow is slim and is primarily aluminum. Though it has rubber inserts which help bring comfort, it becomes a bit chilly to hold on to during long sits on the stand. But this problem can be resolved as soon as possible since PSE produces a neoprene sleeve to place over the existing grip if it gets too cold. From a functional standpoint, the thin PSE grip is great. If you were used to thicker grips, it may take time for you to get used to this but a slim repeatable grip is definitely worth your transition time. As mentioned in the introductory paragraph, this bow has the signature pre-stressed split limbs of PSE. PSE only offers Madness 32 in three different limb configurations, but they are adjustable by ten complete turns of the limb bolt. This means 25% adjustment from the peak draw weight, instead of the industry standard 10 pounds. The 70-pound limbs will offer a draw weight range of 52.5-70-pounds, the 60-pound limbs will adjust from 45-60-pounds, and the 50-pound limbs will range between 37.5-50-pounds. This feature allows shooters more options especially if the shooter is younger; it will give him time to grow and improve. You may not need limb dampeners with this one but they can still help eliminate some vibration. One great highlight of this compound bow is its Madness Hybrid cam which is slightly different than the single cam historically featured on the bows of the past. On the hybrid cam system, the bottom cam gets all the adjustment, while the top cam is basically an idler wheel with additional material added to make the formerly circular cam a bit more oblong, producing more performance. The rotating module achieves each draw length within the range, and is easily changed from one to the other. The single cable draw stop is adjustable for shooters. 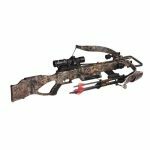 This bow also has an adjustable draw length range from 24-30-inches in half-inch increments. 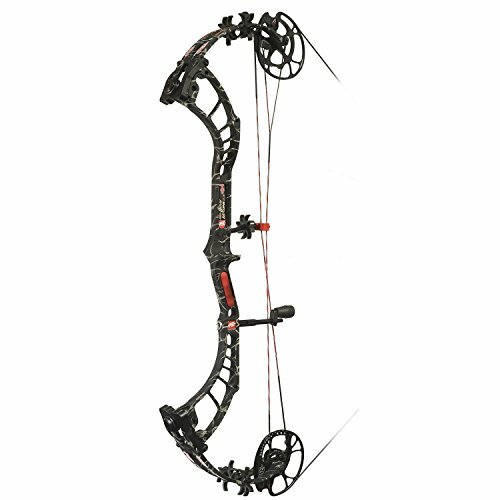 With the ability to produce speeds up to 338 fps, the performance and kinetic energy produced are wonderful for any bow, especially one in this price range. You can also choose from the three patterns available—all black, Mossy Oak Infinity, and Skullworks. Each of the options feature red accent colors including the limb logo stickers, the cable slide, strings, and the rubber grip insert. If you want to change the rubber dampener colors, you can do so by purchasing a color kit. The Bow Madness 32 has a manufacturer suggested price of $600, which is cheap for a hybrid cam hunting bow because the average price is $850. 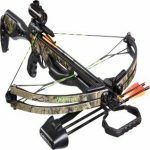 It will be very difficult for you to find another bow that shoots better than this one and is offered at the same price. 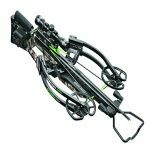 Bottom Line: With only one drawback and several pros to cover it up, this is truly the best compound bow on the market. Period.